Australia was one of the highest users of asbestos upon its introduction in the market. One third of all homes, in fact, have asbestos products. Authorities discovered its harmful effect later on, forcing its ban. In 2003, the Australian government banned all use and production of the harmful material. The elimination of asbestos, however, has not been easy as it still poses a danger to the Australian public. In Perth, mountains of demolished rubble contain asbestos fill. The low market acceptance of processed C&D (construction and demolition) waste filled landfills and the management had to contend with a 500% increase in levy fees. The latest estimates reveal 830,000 tonnes of unprocessed waste just lying in huge piles. In Sydney, in the Opera House no less, more than 50 workers have inhaled asbestos during its renovation. What is more troubling is ETU (Electrical Trades Union) NSW assistant secretary Justin Page’s statement. He remarked that it surprised no one that the Opera House had asbestos and that the risk was foreseeable. The management only failed to publish precautions, he said. In Canberra, Mr. Fluffy (loose fill asbestos insulation) houses may have affected more than 30,000 residents. The report says that the biggest problem areas are the ceilings, walls and sub-floors. Fourteen years may not be enough time to eliminate asbestos in every structure in Australia. But it is time to be proactive. Companies like Perth’s EOSH Consulting offer asbestos survey and removal. They may be your last line of defence against asbestos mediation. 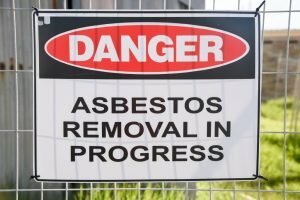 Asbestos survey and removal are, more than ever, important now, as Chinese goods with asbestos content are forcing its way into Australia. The Border Force recently made a bust of products including crayons, brake pads and even classic vehicles contaminated with asbestos.